In this example, readers will learn how to draw shear force & bending moment diagram of cantilever beam carrying udl(uniform distributed load) and point loads. Shear force will increase from left towards right. This is so, because shear force is always maximum on supports. 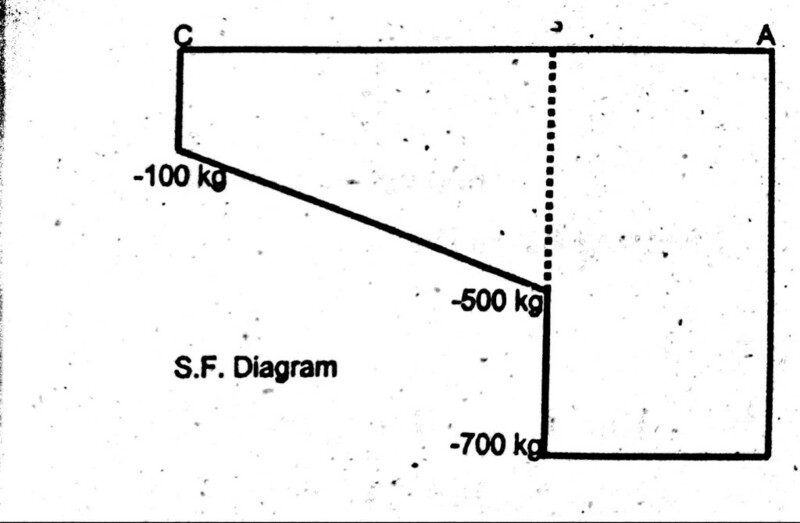 Shear force at point C = – 100 kg. Shear force at point B = – 100 – (200 x 2) = – 500 kg. Shear force at point B is the sum of point load and uniform load. 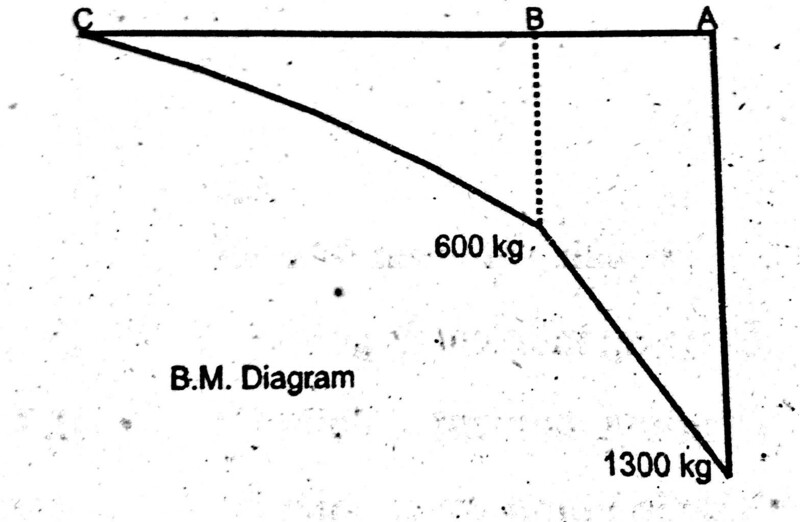 Shear force Between (B – A) = – 700 kg. See the behavior, shear force become linear when udl comes into action. Similarly find values of bending moment at point C, B and A. One can see that bending moment diagram is linear in area where only point load is coming. But, behavior of curve become first degree from where uniform distributed load is acting on it.